– The last time carbon levels reached 400 ppm, and “mean global temperatures were substantially warmer for a sustained period,” was probably 2-3 million years ago, in the Mid-Pliocene era. – Sedimentary cores taken from a Siberian lake north of the Arctic Circle shows that mid-Pliocene atmospheric CO2 measured between 380 and 450 parts per million. Those same cores contain fossil pollens from five different kinds of pine trees as well as numerous other plants we don’t find in today’s Arctic. – Temperatures were 2-3 ˚C higher—about 4-6 ˚F—above pre-industrial levels. – Arctic temperatures were between 10-20 ˚C hotter. – Sea levels were, on average, between 50 and 82 feet higher. – A warmer Arctic saw the spread of forests and forest biology to the far reaches of the north. – Many species of both plants and animals existed several hundred kilometers north of where their nearest relatives exist today. – The Gulf Stream and North Atlantic Current experienced enhanced heat transport pushing warm water further to the north. Similar heating in the Pacific impacted the areas as far north as the Bering Sea. – Arctic ice was “ephemeral”, as in, not permanent, and melted in the warm season. – North Atlantic regions warmed considerably. 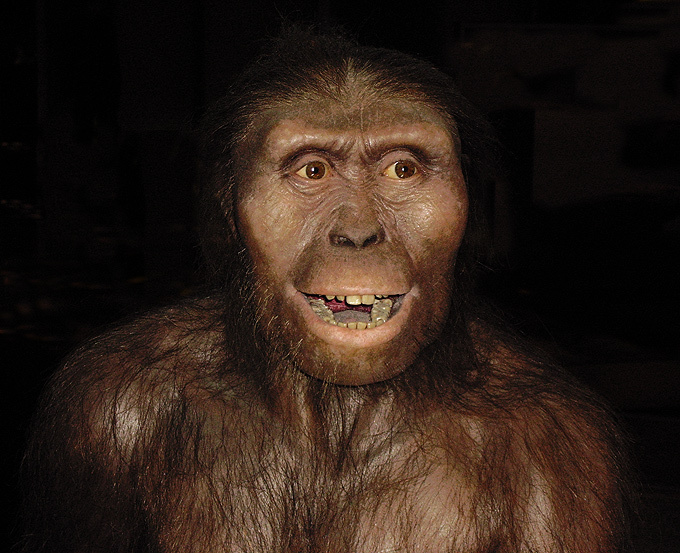 – Australopithecus afarensis, an early hominid at the time, roamed East Africa and slept in trees, eating mostly fruit, seeds, roots, and insects with the occasional lizard and scavenged meat. it was easy prey for the saber-toothed tiger. The prehistoric environment described above is not compatible with modern-day civilization and its billions of infrastructure and supply chain-dependent people. Billions will perish without the technological exoskeleton that houses, feeds, and nurtures them. 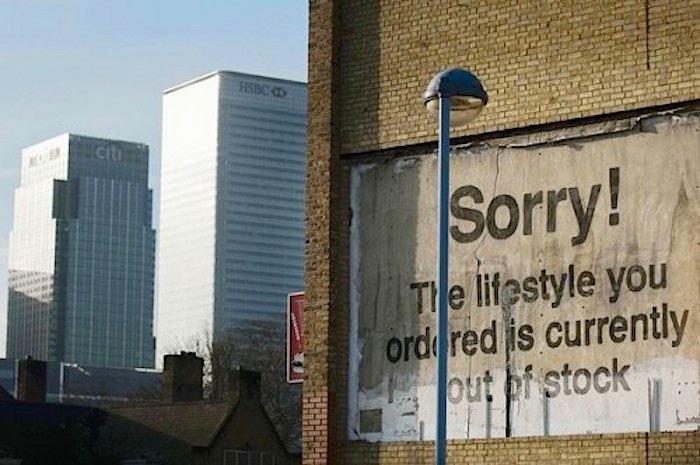 Nearly all are under the spell that our money system, economy, and energy resources are somehow more vital to us than the environment upon which those manmade structures were built. What they don’t realize, or appreciate, is that nature’s ecosystems are what provide the foundation for any civilization if we want breathable air, potable water, arable land, and a planet hospitable to humans. We have gone a long way in undermining this foundation and now hold the dubious honor of being this planet’s first sentient beings to predict, document, and witness their own self-inflicted demise. 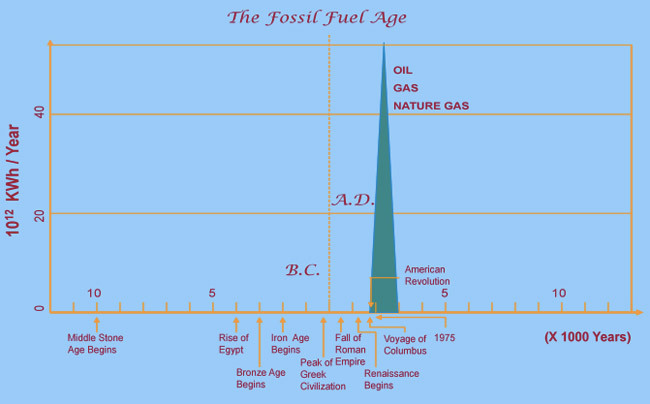 This was the Holocene, as discussed here. 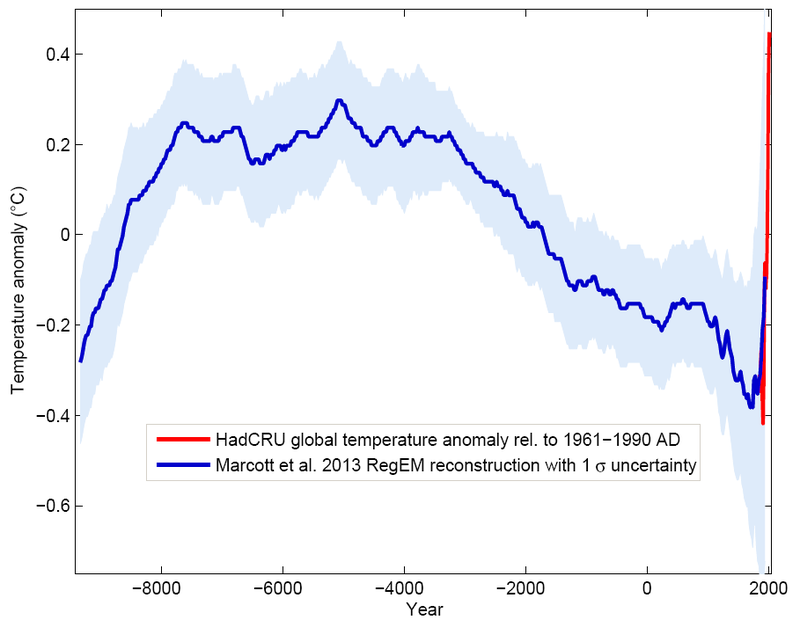 Notice the red “temperature anomaly” spike at the very end of that era. Put in context with other geologic eras, it looks like this. See the difference? The Holocene was a very stable period compared to any other time in the deep past, but we wrecked it with our greenhouse gases. The climate system’s lag time prevents us from seeing the full effects just yet, but changes in the earth’s hydrologic cycle and weather patterns are already apparent. In response to such changes, trees are adjusting the speed at which they cycle water. 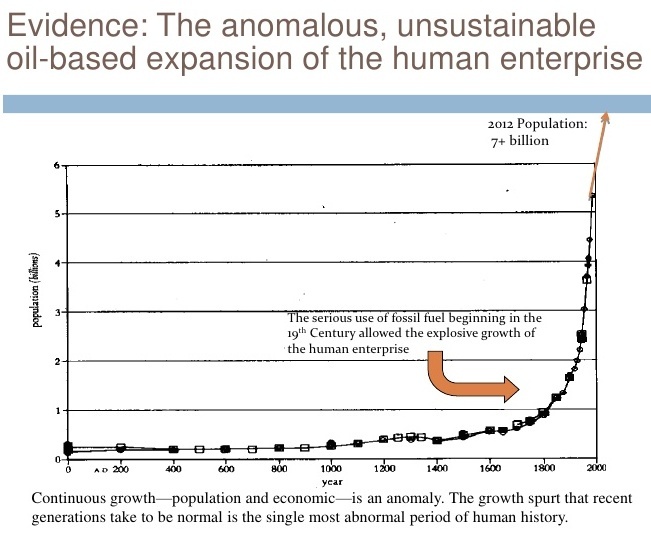 If we expand our historic view of industrial civilization’s gargantuan appetite for energy, we see it as an aberrant blip in evolutionary time when Homo sapiens, fueled by hydrocarbon, disrupted all the major biochemical processes of the planet. …The huge inertia built into the energy system — a $25 trillion worldwide investment in a mainly fossil-fuel infrastructure — is colliding with enormous momentum in the climate, which responds slowly to the buildup in greenhouse gases. The world is not even yet fully experiencing the results of emissions put into the atmosphere years ago, he said. It will take decades to turn both systems around. “If we stopped emitting today, the temperature would still coast up for decades to come,” Holdren said. He recalled sitting on a presidential science advisory panel during the Clinton administration. “Quite a lot of folks were saying the impacts of climate change are uncertain and far away, the costs of dealing with it are large and close — therefore, we should wait and see what happens,” Holdren said. The mental traps and psychological defense mechanisms employed by the naked ape makes him a basket case of contradictions and ironies, simply adding more insurmountable obstacles to the insoluble problem of capitalist industrial civilization. That’s why we love dystopian operas that reflect our own twisted culture and capitalist society. Extreme weather events are rapidly increasing. Right now we are in the 6-sigma risk zone of climate change.